A first look at the sophomore season of the cult Netflix series. The second season of Sense8 launches globally on Netflix on Friday, May 5th, and the streaming giants have released a first trailer and artwork for the show's return. 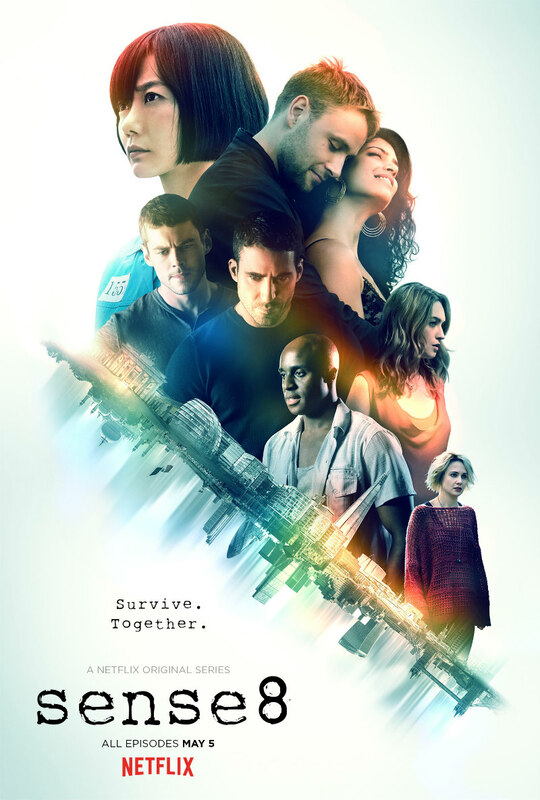 From renowned creative geniuses Lana Wachowski, Grant Hill (The Matrix, Cloud Atlas) and J. Michael Straczynski (Clint Eastwood’s Changeling, World War Z), Sense8 is centered around eight characters, from different parts of the world, who experience a violent vision, and soon find themselves mentally connected by the experience. They become connected, able to see and talk to each other as though they were in the same place, with access to each other's deepest secrets. Not only must the eight adapt to this new ability and to each other, they must figure out why their lives are now in jeopardy. In Season 2, dark forces continue to track the cluster of eight connected characters. The sensates will learn more about BPO, the secret organization searching for their cluster and others like them, and will work to protect themselves from this organization that is out to hunt and kill them.